At every stage of life, ego holds us back. Learn how you can liberate yourself to accomplish the world-changing work you’ve set out to achieve. Understand the difference between products and companies that appear in our lives as fads for a short while, and those that have a lasting impact on the way we think, live and work. Through lessons learned from of history’s greats, understand how embracing the impediments between you of your goal can become your path to success. 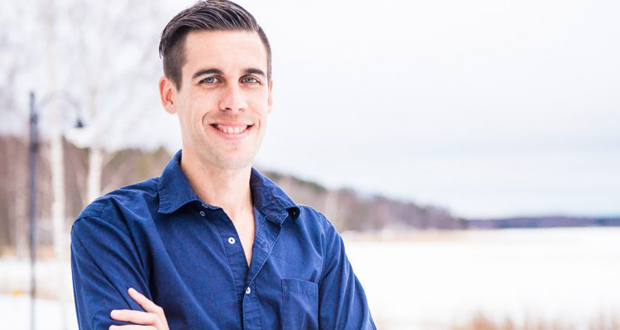 Few writers have done more to bring ancient, timeless wisdom and cutting-edge marketing strategies together than Ryan Holiday. By age 31, his philosophically-driven bestselling books have not only sold nearly two million copies, but they've directly influenced Super Bowl-winning teams like the New England Patriots, World Series champions like the Houston Astros and Olympic Gold Medalists, as well as sitting Senators, military leaders and some of the biggest and most important companies in the world like Google, Twitter and Microsoft. At the core of Ryan’s teachings is Stoicism, a philosophy he has brought back from ancient Rome and into the workplace, entrepreneurship, politics, and sports. What is Stoicism? The idea that while we don’t always control what happens to us in life, we always control how we respond. It’s this message--a framework for overcoming obstacles, scaling new challenges and battling both the ups and downs and life, illustrated vividly with stories from the greats (and not-so-greats) of history--that has brought Ryan in front of some of the most influential audiences in the world. He’s been profiled by the New York Times, Sports Illustrated and ESPN, and he counts among his clients and followers, some of the biggest names in business, tech, culture and professional athletics. With a thirst for knowledge outside academic norms, after dropping out of college, Ryan’s marketing career has been equally groundbreaking. Beginning at 21 as the Director of Marketing for American Apparel and through his creative agency, Brass Check, his clients consist of a who's who of hot brands and businesses. His book Trust Me I’m Lying was the first to reveal the massive vulnerabilities (and opportunities) in the global media system in 2012. His book Growth Hacker Marketing is a bible for startups and Fortune 500 companies alike. Both books are taught in colleges and design programs around the world and his most recent book, Conspiracy, is being adapted into a major motion picture.